October 10 (The Times) Rio Tinto's chief executive is under growing pressure from investors and analysts to justify the FTSE 100 giant's decision to build one of the world's most expensive mines in Mongolia. 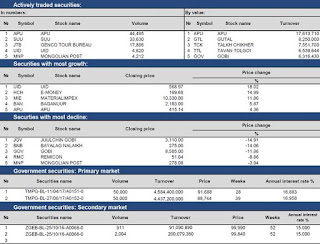 Shareholders are concerned that the $US12bn ($15.8bn) project, called Oyu Tolgoi, could be a ­financial disaster. They have begun to question management about the financial and technical assumptions underpinning the initiative. Rio has organised a trip for analysts and investors to the copper project this month where it will seek to allay their concerns. The unrest is the first big test for Jean-Sebastien Jacques, the former L'Oreal executive who took over as boss of the resources giant three months ago. Before taking the job, he oversaw Oyu Tolgoi and led the talks to break an impasse with the Mongolian government that had led to a three-year freeze in its development. Rio has already poured $US6.4bn into the first phase of Oyu Tolgoi, which includes a large open pit. In May, the board of directors approved a $US5.3bn underground expansion. The decision was brave for an industry still struggling to recover from a historic downturn in raw material prices. Rio lost $US726m last year. In July, the company forced Bernstein, the American broker, to cancel a conference call it had arranged to discuss a highly critical report published by Bernstein. The report was authored by Neal Brewster, Rio's former general manager of valuation. He said it was "not clear" the board had fully understood the risks before signing off on Oyu Tolgoi's expansion. These include technical challenges to its cave excavation approach, a potential requirement to build a $US1bn power plant, bullish performance forecasts and the possibility that Mongolia could expropriate the asset. On a trip for the board of directors to the site last week, Mr Jacques said he did not expect the cash-strapped state to receive a dividend for at least a decade. Rio operates the mine and owns a 33 per cent stake via a controlling share in Turquoise Hill, a Toronto listed company. The Mongolian government holds a 34 per cent share of the project. 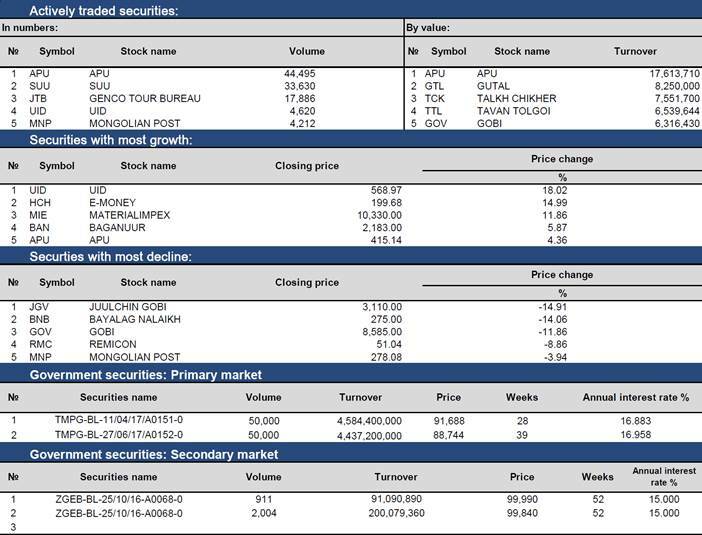 October 7 (MSE) Buy order of 28 weeks Government bonds with annual interest of 16.864%, and 39 weeks Government bonds with annual interest of 16.930% starts from 07 October 2016 until 11 October 2016 through brokerage companies. October 7 (Mongolia Metals & Mining) In line with our expectations, Mongolian large news portal news.mn has reported at 14:40 UB time today that source said that international arbitration court ruled for Erdenet Mining Corporation (EMC) to pay debt it guaranteed for failed Just Group owned by Sh.Batkhuu. · "London court freezing Erdenet's US$8m assets in UK highlights contingent fiscal liabilities risk in Mongolia"
· "what is worrisome is that Erdenet is also sued in London for US$120m by Standard Bank, much larger amount and this(MRI trading) court ruling certainly does not help either. GoM owns Erdenet 51%, so there is certain government finance implication. " · Ministers resolved to publicize notes and records from the behind-doors cabinet meeting of June 13, when the decisions were made on purchase of EMC's 49 percent. · Also for decisions made on October 5, the Bank of Mongolia is to present investigation report in the financial resource, allocated from TDB for procuring the shares. · PM said today that final, most correctly formed decision on 49% issue would be made by MPP. Relevant state organization will investigate privatization and determine whether it was illegal or not. GoM will talk to party who purchased 49%, but will not do robbery (expropriation). PM stressed that Mongolian state cannot treat private sector as robber. · The President yesterday responded by massive media briefing saying " I reiterate that I don't have even 1% of shares of Erdenet"
· Erdenet management also recently organized large press conference and stated: "49% stake buyout was done on state and government level , not our issue. We don't know who bought from whom 49%. With the buyout there are no changes in the company. Newly formed Board of Director decided for each department to have deputy heads, reduce cost and increase profitability". October 7 (UB Post) Parliament reviewed a draft of the 2017 state budget and the 2017 budget for the Social Insurance Fund on Thursday, and also discussed the possibility of an IMF debt bailout. At the beginning of the session, Prime Minister J.Erdenebat spoke to the MPs in attendance about the 2017 state budget. The Prime Minister highlighted that the government is planning to kick off the implementation of mega projects, including the development of the underground mine at Oyu Tolgoi, the Tavan Tolgoi Power Plant, Gatsuurt gold mining, and the expansion of Thermal Power Plant III in 2017, in an effort to overcome economic challenges. MP J.Batzandan asked the PM about rumors that Mongolia will be receiving a standby credit facility from the International Monetary Fund (IMF). The Prime Minister said that representatives from the IMF are coming to Ulaanbaatar this month to evaluate Mongolia's current economic situation. After reviewing the IMF's studies, the Cabinet will make a decision about pursuing credit. Ulaanbaatar, October 7 (MONTSAME) Draft law on adjustment of personal interests in government and public service, to ban offshore properties for high-ranking government officials was presented to the Parliament on October 7. The bill was handed over to the Speaker, Mr M.Enkhbold by the Minister of Justice and Domestic Affairs, Mr S.Byambatsogt. The latter, in noting Mongolians have gotten even more offshore properties and bank accounts since 1990 when the nation gained better access to the outside world, said out of the total USD 15 million foreign investments flown to Mongolia between 1990 and 2015, USD 10 billion was made from offshore regions. What's more, there were over some 13 thousand companies with foreign investments were newly recorded in Mongolia during that period of time of which a thousand companies were invested from offshore zones, he added. Taking into consideration the fact that the people's confidence towards the government has been weakening over the iterating discoveries of offshore bank accounts and companies owned by high-ranking government officials, the law initiators have workd out the bill to handle clash of personal interests in the government affairs and public service. The bill sets out provisions, which ban the government officials, who are obligated to submit income statements to the Corruption combating agency (CCA), to have bank accounts or operating legal entity in offshore regions. However, the bill will not apply to private businesses. Ulaanbaatar, October 7 (MONTSAME) The Deputy Prime Minister, Mr U.Khurelsukh received October 6 the Executive Director of the Asian Development Bank, Mr Koichi Hasegawa, to discuss the implementation of Mongolia-Japan Strategic Partnership Medium-Term Program and ways of activating of bilateral cooperation in. This year marks the 25th anniversary of the cooperation between Mongolia and ADB. During the past years, the Bank have realized more than 270 credits, non-refundable aid and technical assistance projects totaling USD 1.6 billion and having targeted the healthcare, education, community, finance, infrastructure and urban planning areas. As the vivid example is, Mr Khurelsukh referred to the fact that ADB has earmarked USD 150 million for recovering the economy and the budget deficit of Mongolia. Japan remains as a major donor for Mongolia since 1990, having implemented USD 1.7 billion projects in Mongolia's social, agricultural and financial sectors. Aside from this, Japanese side has been implementing 33 projects totaling over 60 million US dollars and plans to launch five more for innovation and introduction of latest technologies. The Deputy PM extended gratitude to ADB and Japan for their consistent support and donations. October 8 (UB Post) President of Mongolia Ts.Elbegdorj agreed to the Confederation of Mongolian Journalists' request to meet journalists twice a year for a discussion of timely matters, and the first of the informal, uncensored meetings was held on October 6 at the Hall of Negotiations of the Ministry of Foreign Affairs. The meeting was broadcast live by Mongolian National Broadcaster, Eagle Television, news.mn and ikon.mn. At the beginning of the meeting, President Ts.Elbegdorj urged journalists to ask him about anything and promised to give them honest answers. Questions related to the privatization of Erdenet Mining Corporation (EMC), the murder of S.Zorig, E.Bat-Uul's resignation from the position of Chairman of the Ulaanbaatar Democratic Party, and other social, political, and economic matters. President Ts.Elbegdorj criticized Vice Speaker of Parliament Ts.Nyamdorj for putting on a political show last week by making an "exaggerated" claim about EMC. He prompted Ts.Nyamdorj to do his work properly without stirring up debate. Later, Ts.Nyamdorj responded, "I have the right to receive reports and raise issues as an MP, and I was informed about Erdenet by other agencies. Today, Ts.Elbegdorj made it seem as if I conspired with B.Choijinsuren and took all of the 49 percent of Erdenet shares." "The one who organized the procurement of 49 percent of Erdenet's shares is Ts.Elbedorj himself. During the trilateral meeting in Tashkent, on June 29, Trade and Development Bank employee O.Orkhon personally went to finalize [the negotiation]. I only reported this. Don't make a mess of things," he added. Other comments made by President Ts.Elbegdorj during his meeting with journalists have been heating up debate. Below are answers provided by the President to a number of questions on Mongolia's hot button topics. "No matter how much we cry, the railways will not return to the ownership of a Mongolian company. We have to trust ourselves. When Russia dispersed, it returned the railways to every nation. When Mongolia was told to take back its railway, some people were scared of managing it themselves and decided to not take it back. Now there's no use in crying," the President stated. The President stated that the government wants to go through with the standby credit facility negotiations with the International Monetary Fund (IMF), because they fear that the situation will worsen if budgetary discipline isn't established with the help of the IMF. "We're unable to manage our undisciplined budget on our own," Ts.Elbegdorj said. "Things really get messy when politicians see money." "The Prime Minister must be able to exercise all his rights and powers. Mongolia has plenty of people who speak their mind, but it doesn't have enough people who actually do things. Politicians only think of the next election. A statesman thinks about the next generation," noted Ts.Elbegdorj. He called on the Prime Minister and the executive branch of government to do their work and underlined, "Mongolia fully supports the right to criticize. The Prime Minister's seat is for a person who fights and thinks for the nation." The President says that the DP needs to define its party's views and determine its rules based on its future plans. "We have to represent everyone, including vulnerable and poor people; those who hate me, and those who praise me." He encouraged the reform of the party and expressed support for anyone who advocates for it. Political parties are dividing Mongolians, said the President. He said that one group is fighting to remove another group, and that the conflict can be resolved only through the law. "The economic crisis is a disease. We can overcome it if we are able to unite and do something about it. Parliament has every right to make decisions about this. We must make decisions without fearing the risks," said Ts.Elbegdorj. "Offshore accounts should be forbidden. If there's anyone with an offshore account, they should be held accountable," Ts.Elbegdorj insisted. "When elected to office, you do as promised. The Law on Criminal Investigation and Charges and the Conflicts of Interest Law should've been enacted. The Law on Combating Domestic Violence is directly linked to these legislations," Ts.Elbegdorj said. The President believes that enforcing these laws would've created opportunities to separate from the "black" system and its unwritten laws. "The people required to implement the laws made too many excuses. The Cabinet and Parliament should order them to enforce the law, and if they don't comply, chase them away. The strings were pulled from behind the scenes by Ts.Nyamdorj," the President claimed. President Ts.Elbegdorj noted, "Courts, regardless of their country, don't always make the correct rulings. I'm not saying people sentenced to the death penalty should be pardoned, but cases shouldn't be wrongfully ruled." He expressed his deep hatred for people who instigate bad things but said he's against death penalty. "Being against the death penalty doesn't mean I'm defending bad conduct," Ts.Elbegdorj explained. When asked what the President plans to do after his presidential term ends, he stated that he only worries about tomorrow's work for Mongolia, and nothing else. He added that he will work hard if he needs to work. October 7 (Mongolian Economy) We sat down with Stefan Hanselmann, Director of the GIZ's Integrated Mineral Resource Initiative. - The German-Mongolian Corporate Days is going to be held under the theme "Made in Germany" this time around. What are the areas of focus for this year's event? - The areas of focus for this year's event are renewable energy and the textile industry. Mongolia and Germany have both accumulated experience in these fields and have great potential to expand cooperation in the future. But we will exchange experience more in manufacturing of innovation-added products. Food and food production is of course one of the regular topics included in every annual event. The two countries have already begun cooperation in this industry and certain works are ongoing. - This event is going to be held for the sixth year. How is the state of business relations between the two countries today? - We are aware of the economic difficulties. Although there was no significant growth in bilateral trade, it should be noted that it has not decreased either. In a nutshell, it shows that a stable relationship independent of economic cycles has been established. The number of event participants has not decreased from the previous conferences despite the economic difficulties. Organising two full-day programmes means that the two countries' economic and business relations are stable. - What gains will Mongolian entrepreneurs attending the event seek? - A presentation under the theme "Export Opportunities to the EU and Germany - Legal Provisions, Trends" will take place. The responsibility of the German Society for International Cooperation (GIZ) is to provide support for the implementation of the government cooperation agreement between the two countries. As for private sector cooperation, the German-Mongolian Business Association bears that responsibility. This association actively works to connect entrepreneurs of the two countries, getting them to participate in exhibitions and advertise their products. So this association's role in this field of cooperation is huge. In addition, they have been consistently providing information about the EU and German markets to entrepreneurs over the past few years. I think now the entrepreneurs have enough information in this regard. The Mongolian National Chamber of Commerce and Industry cooperates actively on this matter. Now the acquired knowledge needs to be realised. - Foreign investment is always an important topic. How do you see business opportunities in Mongolia? 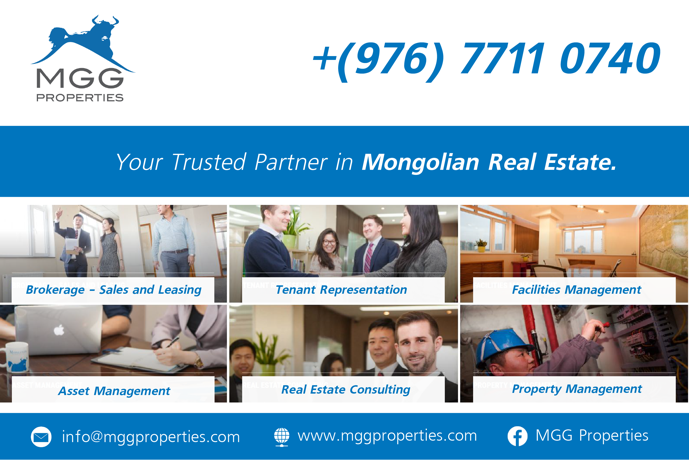 - Mongolia's has great potential. 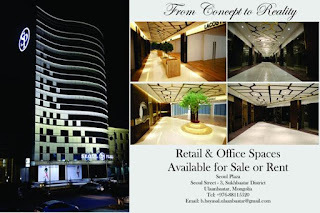 It has a large space to work with foreign investors. There are great opportunities in fields such as science, energy, agriculture and light industry. Investors still have plenty of options. But the main obstacle is the instability of political and economic policy. Let's say you have been invited to dinner, for example. Obviously there would be wine and delicious food. However, whether the route to the event is safe and where the dinner table has been fixed are both important to you. What I am trying to say is that a delicious dinner is an opportunity, but the safety of the path and whether it has been protected from risks or not is important for investors. Therefore, the prerequisites need to be provided for both sides. - What lesson should be learned from this? Has the government of Mongolia learned the lesson? - The newly formed government has talked, but not walked. Perhaps it will be possible to know if the government has learned its lesson after a year by seeing the results of works implemented. Currently, everything is just talk. How to materialise that talk is important. Two positive promises have been given in the mining sector. The government of Mongolia said that the Gatsuurt deposit will move forward before the end of the year and the Tavan Tolgoi deposit in July of next year. 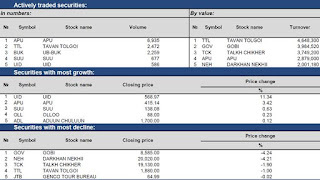 It is a big message for foreign investors. But the main thing the investors are looking for is to see how closely the government's words and action align with one another. - The Integrated Mineral Resource Initiative will end soon. Are there any future plans? - Our projects are carried out in phases under three-year terms. The Integrated Mineral Resource Initiative will end in July 2017. The government might raise the question of whether to continue the bilateral agreements and projects in November of next year. As for us, we hope that the projects will continue. 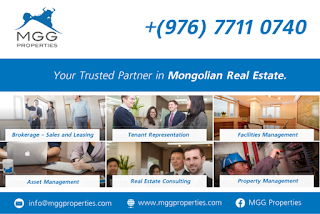 - The issue of diversifying Mongolia's economy has been talked about for many years. How possible is this? - I do not think economic diversification models for developed countries or developing countries like Myanmar or Vietnam will suit Mongolia. Mongolia is a country with its own distinct features, at the very least in terms of territory and population. So, there is no need to copy those countries. Mongolians should define and develop economic sectors by themselves. Most importantly, Mongolia needs to consistently implement works that they start. When a project or undertaking just begins after getting selected, a new government gets appointed and halts all the works. For example, the renewable energy sector has been talked about for many years. Although broad opportunities can be seen, things get forgotten after buzzing for a while. Economic diversification is not a short-term work. Diversification will be created by implementing a stable long-term policy. Personally I do not think several hundreds of sectors can be developed in Mongolia, but agriculture is the sector with the highest potential for development as Mongolia's economy was based on agriculture for many years, so the foundation and resources are there. Mongolia has the potential to export meat and milk products to its two neighbors. But the main thing is that any sector will fall if there is no stability in policy, even if the conditions are optimal. Many factories were established in Mongolia with the help of the Commonwealth of Independent States during the Soviet era. However, all of those factories were closed down during the post-communism transition. Also, an environment that will ensure the stability of the policies must be created. For example, USD 120 million in investment was made for the Salkhit wind park. However, today it is uncertain whether it will sell its power or connect to an integrated network as initially promised. Mongolia's feature is that it is creating many new things. Therefore, 5-10 years will be required just for planning of major developments. But it is impossible to implement a major project which will take 20-30 years when policies are changed every3-4 years. I think mining will continue to be the main sector. Hence, a country rich in natural resources should very carefully consider and implement its natural resource governance. Otherwise, it will face many challenges such as Dutch Disease. Supporting sectors are losing their influence to the mining sector due to poor resource management, making diversification more difficult. There is almost no possibility to directly stop the mining sector and support the other sectors. - What advice would you give to those who are planning to do business in Mongolia? - The most important thing to ponder is that Mongolians have their own unique features. Mongolia has no mass production at the moment. Thus, German investors' discussions with Mongolians will be totally different from talking to a Vietnamese person, because Vietnamese people might know the process of manufacturing and the production environment better. But I would like to say that the advantage of Mongolia lies in how they approach work and the effort that they put in. I think this is related to the nomadic culture and traditions. A Massive Privatization Coup Right Before an Election? 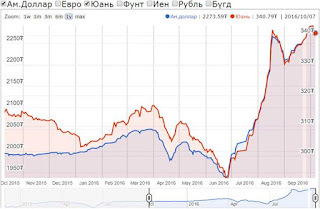 It seemed odd that there was an announcement just before the June 29 election that the 49% portion of the longtime engine of Mongolian development, Erdenet mine, that was owned by Russian Monrostsvetment (Mogi: Rostec actually) was sold to the Trade and Development Bank of Mongolia. The timing suggested that this was a political scheme related to the election. This was reinforced by the general perception that TDBM was associated with the DP. Given that the DP was likely to lose big, the suspicion at the time was that the DP was trying to sway the election by showing itself to be a guarantor of Mongolian interests. Obviously, voters were not swayed. To the contrary, a common interpretation at the time was that the MPP did not react to the announcement beyond an initial press conference in part because it would showcase DP "muddling" in the economy and DP corruption. Voters would be able to judge for themselves, and it appears that they did. But is that what was behind the relative quiet in reaction to the Erdenet announcement from the MPP? Lkhagva E of Mongol TV has taken a leading role in investigating the sale as he reported previously on this blog. He has stayed with this story. Initially, there was an announcement by Prime Minister J Erdenebat that a cabinet committee would investigate the sale. Lots of questions have been raised about who authorized the sale, who spoke for the Government of Mongolia in passing on a first-right-of-refusal opportunity to purchase the Russian stake, how is the governance of Erdenet Mine now organized (particularly given the re-shuffle of the management of Erdenes Mongol, the state holding company), etc (Mogi: Erdenes Mongol does NOT hold government's stake in Erdenet). Erdenet is designated a strategic asset so that governance questions are especially pertinent. The committee was due to report August 5, then again August 25, but no report has appeared. It now appears that Ts Nyamdorj, a leading politician in the governing Mongolian People's Party, has taken on this issue and is pushing hard to follow up on some of the confusing leads. Nyamdorj himself was forced to resign as chairman of the Ikh Khural in 2007 after it was asserted that he had changed laws that parliament had voted on. He continues to be a force in the MPP, however. While he is not a member of party leader M Enkhbold's faction, he does not seem to be particularly antagonistic towards Enkhbold. In his pursuit of answers on the Erdenet sale, however, Nyamdorj appears to be pushing hard against party colleagues as well as the DP. Some of his remarks imply that there may have been collusion about the sale between the DP and the MPP. Many Mongolians are interpreting this to mean that some kind of agreement between Enkhbold and Pres. Elbegdorj must have existed at the time. That is also seen as speculation, but a reasonably explanation of why the MPP's reaction to the announcement of the sale was so muted. In response to some of the revelations by Nyamdorj, the government has begun releasing some documents and also made cabinet minutes of a meeting on June 13 public. While I would emphasize that I am reporting on speculation here (some of which founded on documents released, but some of it on interpretation), this speculation is significant in shining a light on the activities of the president and the chairman of parliament with great implications for Mongolia's further development. For development to be socially and economically sustainable, assets like Erdenet have to be protected with particular vigilance on behalf of Mongolians. The current understanding of how Erdenet was "privatized" suggests very little care, and hints at personal rather than national advantage. It is also important to recognize that if some of this speculation about the sale of Erdenet is born out by further documents and revelations, this will severely undermine the MPP government's efforts to portray itself as having turned a corner in how investors (foreign and domestic) are treated and how reliably the government as an investment partner is. October 9 (UB Post) By the 1990s, Mongolia eventually had to get rid of its socialist system that denied private ownership of property. It has been more than 20 years since we made the decision to transition into a democracy and a free market economy. Although Mongolians denied private property for the 80 years prior to the democratic revolution, our new Constitution reads, "Mongolia shall have an economy based on different forms of property, which takes into account universal trends of global economic development and national specifics. The State recognizes all forms of both public and private property and shall protect the rights of the owner by law." Private property is the basis for economic and social relations. Therefore, it is important to protect private property in the same way human rights, safety, and freedom are safeguarded in a democratic society. Since any individual cannot ensure these values are protected, the people trust in the government, which consists of the legislative, executive, and judicial branches, to protect those values. The government is selected through a fair and democratic election, and assumes power for a specific amount of time. The government collects taxes from private property owners and fulfills their duty to protect their property by overseeing foreign relations, trade, and the exchange of goods and services. Furthermore, the government has the responsibility to provide disadvantaged members of society with equal opportunities, an education, access to medical services, and social care. Every citizen has the right to put their private property into economic circulation, create value without harming public properties and interests, and to become wealthier. Starting from the 1990s, the people who snuck into the government forgot their duty to protect private property and started misusing their power by demanding rewards from the value created by the private sector. They have come up with all kinds of unnecessary permits in order to ensure that private businesses cannot operate without their approval and signatures. Customs taxes were set by personal preference, and – as a result – many of the wealthy come from customs. Working in customs suddenly boosted your reputation. Nevertheless, the private sector naturally grew while the market's capacity and circulation increased. Mongolia's urban and rural areas gained full access to consumer products. As private businesses expanded, people sought opportunities to do their own business and accumulate wealth. Even though state-owned assets were privatized, it was only a handful of people who assumed control by owning the majority of their shares. Mongolia's corruption originates from a government that takes part in all business activities and has its public servants looking for ways to serve their personal interests. The political and economic institutions that are supposed to put an end to this corruption are replaced every four years in elections. They have been indulging in corruption instead of fighting it. As political parties better understood how much power came with election into office, public governance grew more corrupt. When the Constitution was amended in 2000, it allowed lawmakers to execute the laws they passed, which essentially legalized corruption. Currently, our political parties have set values for all positions, including those of ambassadors, and exchange them for donations made to the political party. Any individual or any company can gain authority in any industry, as long as they have enough money to donate to political party financing. Although the growth of corruption has been increasingly talked about in society, as well as why it is impeding our development and how it is preventing fair competition in the private sector, we greeted the 2010s without being able to do anything to fight it. The reach of corruption has grown further than just a seat in the government or the power of a single political party. Today, the reach of corruption has gone beyond single entities and has already consumed ministries, agencies, and different governments. The senior leadership of both the Democratic Party (DP) and the Mongolian People's Party (MPP) have been keeping each other's secrets. It has made it impossible for them to act against corruption. Mongolia's government is fully consumed by corruption today. The reach of corruption has grown so wide that one individual can impose their authority in the majority of our economic sectors. Ts.Nyamdorj, Vice Speaker of Parliament, talked about this individual (whose name has only been whispered among politicians) in a press conference last week. He received criticism because he spoke against his own political party. At least it looks like there are still a handful of people who are willing to reveal facts and expose the truth. However, it is unclear how long anyone will have the freedom to talk about justice in Mongolia. It appears that the most powerful, secretive, and richest person in Mongolia is D.Erdenebileg, chairman of the Board of Directors of Trade and Development Bank (TDB). Although traditional and social media have talked about this person a lot lately, there are only two or three photographs of him, and no one can identify him in the photos. It shows how undisclosed his actions are. 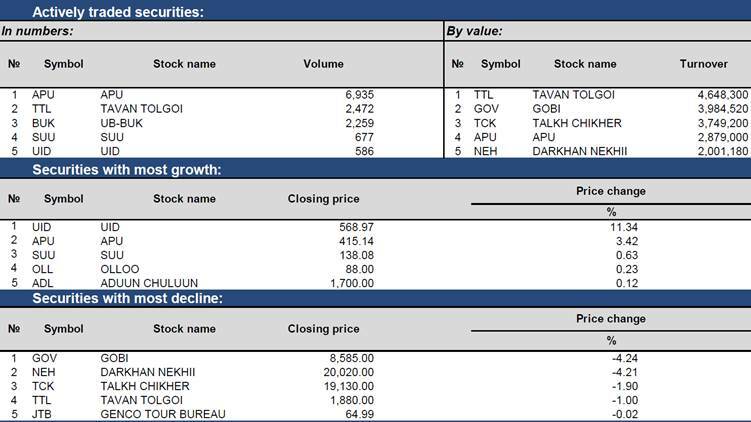 If you look at all the information made available about him, it appears that he owns the majority of shares of the biggest commercial bank in Mongolia through an offshore account. This is why he sits on the board. Also, he owns 99 percent of the shares of Ulaanbaatar Bank, which was established by the current Speaker of Parliament, M.Enkhbold, when he was the mayor of our capital city. Vice Speaker Ts.Nyamdorj said that D.Erdenebileg used the same mechanisms to impose his control through TDB on the Darkhan Metallurgical Plant, Khutul's cement plant, Erdenet Mining Corporation, and Mongolrostsvetmet. Apparently, D.Erdenebileg is also preparing to seize Baganuur and Thermal Power Plants 3 and 4 (as reported by The Daily News, on October 3, 2016). It is also said that TDB paid a large amount of money to have Bloomberg Mongolia work for them, and purchased Forbes Mongolia Magazine. Furthermore, TDB is behind the Government News newspaper, which deliberately gave the outside world the impression that the newspaper was released by the government. If all these claims are true, we are witnessing a phenomenon we can call "Erdenebilegism" – one individual being able to control everything. WHEN WILL THE PRESIDENT SAY SOMETHING? The DP and MPP's leaders and Members of Parliament are all reluctant to tell the public that the Chairman of TDB has the most influence on Mongolia's politics and economy. As political party financing is secret, it is currently unknown how much money has been paid in donations to particular people. Even President Elbegdorj, who talks loudly about fighting corruption and having transparent accounts, is completely silent on the Erdenet shares being sold. 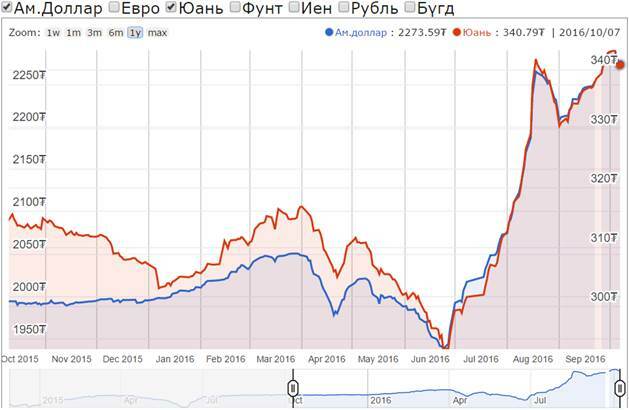 Mongolian citizens understand that the Russians did not sell their shares without Elbegdorj's blessing. We can all see that this deal was completed after President Elbegdorj met with President Putin on June 20 this year, in Tashkent. Even though individual wealth is encouraged in a market economy, monopolies must be stopped. Similarly, Rockefeller's Standard Oil was broken down in the United States, and Bill Gates' Microsoft had restrictions imposed on its operations. Monopolies set prices on their own, which restricts room for free market competition and impedes the progress of economic development. It will be impossible for a young democracy like Mongolia to create and sustain free market competition without stopping the corruption that involves both the government and the private sector. October 9 (UB Post) The Federation of Energy, Geology and Mining Workers' Trade Unions of Mongolia (MEGM) sent requirement to Darkhan Metallurgical Plant (DMP) Company to pay the salaries to their employees for the standby on October 5. Director of MEGM Kh.Buyanjargal said that "QSC LLC got rights of DMP under concession agreement, and but the company cannot maintain their operation stable. Metallurgical Plant works only 15 days in a month. Because of that 6000 employees still did not get paid. After QSC took the rights of DMP, MEGM made cooperation agreement with the company. According to the agreement, when there is a standby, employees should earn 60 percent of their wages, and compensation for the grant. But the company did not fulfil the agreement. Court was made a decision on MEGM's side. Therefore it requires them to follow the court decision". The Darkhan metallurgical plant owns the licence of the Selenge iron ore deposit. In frames of the implementation of a project on Mining and Metallurgy in the region of Darkhan and Selenge, QSC LLC which was selected as the investor have completed the railroad construction on a concession agreement with the government. In addition, executives of the MEGM met with the Prime Minister on last September 30, and they explained these issues, and introduced about DMP's privatization request that it review the issue metallurgy privatization met with the Prime Minister on March 30 and posted on the issue. The Prime Minister is to make a working group to study the issue. In turn, the Prime Minister said that "he will appoint an action force to study the issue." October 9 (UB Post) Tuv Province's Agriculture Department is expected to complete harvesting on October 10, in connection with recent weather forecasts. Expert of the Food and Agriculture Department J.Surenkhorloo reported, "Wet snow might hit Tuv Province from October 5 to 7. Therefore, harvesting operations needs to be sped up." Harvests are at 65 percent completion in Tuv Province. The province planted 61,000 tons of seeds and wheat in 49,414 hectares of land, 58,000 tons of grains in 46,784 hectares, and 2.6 tons of forage plants in 2,630 hectares of land. Tuv Province supplies around 4,000 tons of fodder plants, 4,000 tons of vegetables, and 47,000 tons of potatoes, reported a representative of Tuv Province. A total of 318 students, 709 soldiers and 116 students of vocational training centers are helping with harvesting in Tuv Province. "Everyone is doing their best to complete the work on time," emphasized representatives of Tuv Province. October 7 (MONTSAME) The "Denimon" national manufacturing company came to be the first in the world to produce Mongolian traditional costumes with denim fabric. Founded in 2009 the company sets its mission as to develop denim manufacturing in Mongolia. The company name means "Mongolian jeans". The name Denimon itself is a combination of abbreviations of Mongolia and Denim village in Italy which is the home to the first denim uniforms made from fabric which is used for making canvas. The company has started producing jeans clothes in a basement apartment with only 3 employees. But now the company has developed largely to manufacture 30 types of clothes with over 100 different designs. It has already created the brand - "Urban jeans". Previously, Mongolian national dress – deel has been made only from silk or textile. But now this trend has changed as the Denimon has proved the denim can be a good alternative to traditional concepts. Ulaanbaatar, October 7 (MONTSAME) In accordance with the decision of the Ulaanbaatar city council (Citizens' Representatives Khural) from August 31, the Police Department of Ulaanbaatar has selected and trained 2,500 eligible and background checked civilians to be "ears and eyes" of the law enforcement. The citizens on patrol will be deployed starting from October 10. At today's workshop, the police department representatives said the "Citizens On Patrol" action will help reduce crimes, improve prevention and raise law enforcement awareness in vulnerable areas of the city. Ulaanbaatar, October 7 (MONTSAME) Mr. D. Davaasuren, the State Secretary of the Ministry of Foreign Affairs of Mongolia, met with H.E. Mrs. Jennifer Galt, the Ambassador of the United State of America to Mongolia. The sides exchanged views on the current state of bilateral relations, as well as opportunities for further cooperation. The State Secretary highlighted that Mongolia has been attaching a great importance to its relations with the United States, and emphasized a significance of dynamic collaboration towards deepening bilateral economic cooperation. The parties also discussed the lead-ups to celebrating the 30th anniversary of establishment of diplomatic relations between Mongolia and the USA next year. While congratulating Mr.D.Davaasuren on his appointment the State Secretary and wishing success, Ambassador Galt expressed her pleasure to work with a career diplomat, who used to deal with the issues of Mongolia and the United States relations and made his own contribution towards strengthening bilateral cooperation, reports the Ministry of Foreign Affairs. October 7 (news.mn) S.Sukhbold, Ambassador Extraordinary and Plenipotentiary and Permanent Representative of Mongolia to the United Nations, has delivered a statement at the Third Committee of the General Assembly at its seventy-first session. Ambassador S.Sukhbold said that to reach all segments of society with inclusive development, there was an indispensable need to examine interrelated factors, such as poverty reduction and good employment. Reviewing Mongolia's national action plan to implement the 2030 Agenda, he said the Government would prioritize family support, poverty reduction, employment generation, improvement of living standards, and improving social protection for citizens. As the main sponsor of a bi-annual resolution on literacy, Mongolia underlined the power of literacy to empower individuals. BEIJING, Oct. 8 (Xinhua) -- The Belt and Road Initiative unveiled three years ago has already delivered tangible results, contributing to global economic recovery and creating momentum for long-term global economic growth. Proposed by Chinese President Xi Jinping, the initiative refers to the Silk Road Economic Belt that links China with Europe through Central and Western Asia by inland routes, and the 21st Century Maritime Silk Road connecting China with Southeast Asia, Africa and Europe by sea. The initiative offers both a long-term development vision and real benefits in the near future. Construction of the very first highway in Mongolia, a landmark project in the country under the Belt and Road Initiative, has been under way since May 2016. The highway, linking the capital city, Ulan Bator, and the new international airport in Khushigt Valley, Tuv Province, has been hailed by then Mongolian Prime Minister Chimed Saikhanbileg as "a new milestone" in the history of infrastructure in Mongolia. As a landlocked country, Mongolia shares borders with only two countries: China and Russia. Its ambitious Steppe Road plan, an infrastructure construction proposal to spur economic growth through cross-border transportation, is highly consistent with the Belt and Road Initiative, especially the construction of the China-Mongolia-Russia economic corridor. The corridor is one of the six major international economic cooperation corridors under the Belt and Road Initiative. In July 2015, China, Mongolia and Russia signed a memorandum of understanding on the construction of the economic corridor covering their countries. In September 2016, Beijing released an outline of the plan for the corridor, marking the official implementation of the first outline of the multilateral cooperation plan. While in Pakistan, infrastructure development is progressing rapidly thanks to the construction of the China-Pakistan economic corridor. In April 2016, the reconstruction and upgrade work on the Pakistani section of the Karakoram Highway officially started. In May, construction of the Peshawar-Karachi Expressway (Sukkar-Multan section), the biggest transport infrastructure project under the China-Pakistan economic corridor, was officially launched. Meanwhile, a 64 km stretch of the M4 highway connecting Shorkot to Khanewal in Pakistan's Punjab province broke ground in August. It is Pakistan's first highway project financed by the China-backed Asian Infrastructure Investment Bank. The China-Pakistan economic corridor is regarded as the first chapter of the Belt and Road symphony. With the economic corridor at the center and the Gwadar Port, transport infrastructure, energy and industrial cooperation being the four key areas, a "1+4" cooperation structure is gradually taking shape. Pakistani Prime Minister Nawaz Sharif has said on many occasions that the China-Pakistan economic corridor is a boon to the whole region and it will bring tangible benefits to the 3 billion people in China, Central Asia, South Asia and the Middle East. Marking a milestone agreement for China-Greece collaboration, China's Cosco Shipping on Aug. 10 acquired a majority stake in Piraeus Port Authority through the Athens Stock Exchange. The port is now ranked 39th globally up from 93rd in 2010 in terms of container capacity, and it can be considered a rising star partly due to its convenient geographic location, thanks to China's Belt and Road Initiative. Piraeus is expected to operate as a hub in Europe for the 21st Century Maritime Silk Road, and to connect the Silk Road Economic Belt with the China-Europe Land-Sea Express Line, boosting economic growth in regions that the initiative covers. Broad achievements have been scored since the 21st Century Maritime Silk Road was proposed by Xi three years ago. In September, the 13th China-ASEAN Expo was held in China's Guangxi Zhuang Autonomous Region. The expo, with an aim to promote the 21st Century Maritime Silk Road and forge a closer China-ASEAN community of common destiny, attracted more than 2,600 companies from 29 countries. China and ASEAN mark the 25th anniversary of their dialogue relations in 2016. Trade between China and ASEAN rose to 472 billion U.S. dollars in 2015 from less than 8 billion dollars in 1991, with an annual growth rate of 18.5 percent. By the end of May 2016, two-way investment had exceeded 160 billion dollars. Currently, China is ASEAN's largest trading partner, while ASEAN is the third-largest trading partner of China. So far, more than 300 China-funded enterprises have been set up in 26 economic cooperation zones in eight ASEAN countries, investing a total of 1.77 billion dollars. Abhisit Vejjajiva, a former prime minister of Thailand, has said that the Belt and Road Initiative would enhance people-to-people exchanges in countries along the route of the program, and it would also create vital opportunities for Thailand and other nations. Mogi: the article says in front of DP but the picture inside looks like MPP building. October 9 (UB Post) Students of vocational training centers (VTC) demonstrated in front of the Democratic Party's headquarters in Ulaanbaatar, on October 6, demanding that the government's student stipends be issued again. The 40 protestors said that Mongolia's vocational education system has not evolved to serve the demands of its economy. The students were unhappy with the decision of the government to stop the distribution of the Government of Mongolia's monthly stipend of 70,000 MNT for all students beginning in January. During the demonstration, students held signs listing their demands. VTC teachers have pointed out that the majority of VTC students are between the ages of 15 and 17, and they rely on the stipends that the government granted to be able to pursue vocational education. October 7 (gogo.mn) UNICEF and the Swiss Agency for Development and Cooperation (SDC) signed an agreement to work together towards developing effective solutions to improve water and sanitation for children in schools and kindergartens in Ulaanbaatar ger district and support effective planning and decision making for local and national authorities. Water, sanitation and hygiene (WASH) is one of key priorities of UNICEF's work in Mongolia. Last year UNICEF has supported the development of "Norms and Requirements for WASH in Kindergartens, Schools and Dormitories" which was jointly approved by the Ministry of Education, Culture, Science and Sports, Ministry of Health and Ministry of Finance. In addition to supporting national standards, UNICEF designed and developed indoor type container facilities as an innovative solution to improve access to WASH facilities in schools and kindergartens. Most schools and kindergartens in Mongolia were built between 1960 and 1990 without taking water and sanitation facilities into account. Studies from 2007 show that on average, each student – even those living in dormitories – has only 2.3 litres of water a day for all their needs except showering. Furthermore, only 21.7 per cent of schools and dormitories have indoor WASH facilities; the remaining 78.3 per cent have outdoor latrines that are mostly unsafe and unhygienic. As a result, the most vulnerable in Mongolia still suffer from low access to water and sanitation and children suffer disproportionally from this situation. Now with the assistance from SDC, UNICEF will generate new data and evidence that will help the Government of Mongolia to plan and budget for better WASH service delivery in schools and kindergartens. In addition, UNICEF and SDC partnership will demonstrate cost-effective and sustainable WASH solutions and support the Government for nationwide scale-up. The new programme will provide greater support to central and local authorities, to provide better access to safe water and adoption of adequate sanitation for children and families. Efforts will focus on Bayanzurkh ger district, where also activities to improve good hygiene practices and behaviours will take place. In addition, district authorities will increased capacity to organize behavioral change campaign for children's improved hygiene, also through greater access to international expertise and best practices. "Sanitation and hygiene are key to child survival, development and growth. Unsafe water and unsanitary facilities have a negative impact on children's ability to learn in the classroom. Government of Mongolia is highly committed to improving access to water and sanitation for school children and I am happy to see increasing emphasis in this area. SDC is a great partner for development and with their support we will be able to advance further our collective efforts to improve the situation of children by helping them access clean water, sanitation and proper hygiene" said Roberto Benes, UNICEF Mongolia Representative. "With this project, SDC aims to improve water governance in Mongolia by providing evidence regarding the lack of improved sanitary installations in schools and by enabling replication of good practices in selected schools of the ger district area of UB city where the conditions are particularly alarming" said Gabriella Spirli, SDC in Mongolia Director of Cooperation and Consul General. San Francisco, October 5, 2016 — Since the launch of the Merali University Scholarship Program for Disadvantaged Women in 2010, The Asia Foundation, in partnership with The Merali Foundation, has enabled nearly 500 disadvantaged female students, predominantly from underserved rural areas, to successfully pursue undergraduate degrees. Recently, the Foundation and The Merali Foundation renewed their commitment to provide scholarships to academically-gifted female students who are unable to continue their education at the university level due to financial constraints. The Scholarship program helps cover the cost of tuition, educational supplies, and books. The Merali Scholars are all women from low-income households who have been admitted into a four- or five-year undergraduate program and have demonstrated both academic achievement and a commitment to learning. The Merali University Scholarship Program is unique in supporting a significant number of students majoring in the natural sciences and technical fields, where women are traditionally under-represented. In addition, a "Big Sister" mentorship component enables previous scholars to provide incoming or new scholars with advice on strategies for academic success, dissertation guidance, and job market preparation tips. With a focus on holistic development, in addition to the strong emphasis on academic performance, the scholarship program provides students with training in computers and information technologies; classes on research methods, soft skills development, and English language; and opportunities for community service and personal and professional development. The Merali Foundation, formerly known as the Shirin Pandju Merali Foundation, was established by Pandju Merali in honor of his late wife, Shirin Merali. The Merali Foundation is committed to educating girls in developing countries. Together with The Asia Foundation, The Merali Foundation has launched women's scholarship programs in Malaysia, Mongolia, Cambodia, Vietnam, and Laos. Education catalyzes a range of economic, social, and health benefits that reach far beyond individual transformation, benefiting families, communities, and entire societies. Providing girls and young women with opportunities to pursue an education is one of the most effective ways to promote gender equality and eradicate poverty in Asia. Read more about the Foundation's work. October 7 (gogo.mn) Archeologists of the Khovd University have found Turkic woman burial from Uzuur Gylan, Munhhairhan soum, Khovd aimag on Apr, 2016. Later the finds were named after Uzuul Gylan, the place where it has found. More than 40 findings and artifacts have found including an ancient human wrapped in felt. In the mummy's grave archeologists found - alongside the human remains - a saddle, bridle, clay vase, wooden and iron bowl, trough, iron kettle, the remains of entire horse and sheep, as well as "deel" (traditional costume of Mongolia). In regards, five archeologists have came to Mongolia from Turkey during June 12-21 to study the findings and they took nine types of samples from the findings. They have sent the samples to the Beta Laboratory, U.S and the results have came up. The result has approved that the findings of Uzuur Gylan dates to 9-10th centuries, the period of Turkic empire fall and rise of Kyrgyzstan. Currently, experts of Cultural Heritage Center are preserving the findings. "It is a very rare phenomenon. We are very grateful to Cultural Heritage Center for giving us an opportunity to study the findings. We conclude this woman was from elite, because her clothes and things in the tomb were elegant, substantial and high-quality. Even her shoes are equipped with iron and bronze. Inside of her coat is fur and outside is leather. We are truly surprised that it was preserved very well", said Art historian Sebahattin Kutuk. Head of Cultural Heritage Center G.Enkhbat: "Height of a woman is 5.4 ft (165 cm). The mummy is being preserved in a cooler. We tested MRI on the mummy to determine the cause of death. She was buried in low-moisture areas where it has air and wind-free access. Thick layer of mouse feces was created on the top of the grave, which has advantage to prevent contamination. If the tomb was covered by dust, it would not preserved that well. It was deliberately buried". The finds of Uzuur Gylan will be showed to the public by the middle of next year at National History Museum. October 7 (National Geographic) In the high subarctic steppes of Mongolia, extreme climate conditions sometimes produce strikingly well-preserved archaeological discoveries. These finds are responsible for much of our knowledge of early nomadic societies Central Asia. In particular, the mummified remains of horses and horse equipment—preserved over the centuries in a dry cave, or protected by permafrost by Mongolia's cold, arid continental climate—yield a wealth of scientific data relating to the history of horse herding and riding in the region. In 2015, a team of researchers from the National Museum of Mongolia were notified by local police of a looted cave burial near the town of Myangad, in western Mongolia's Khovd province. From the looters, police seized a bow, arrows, horse equipment, and tools made of wood, leather, and horn. Based on the style of these artifacts, the burial may date to the time of the Turkic Khaganate (ca. 6th to 8th century CE)—a vast nomadic empire which once stretched from Mongolia in the east to Afghanistan and Turkmenistan in the west. However, similar artifacts have also been found as late as the 10th-11th centuries, so precise dating of the burial will require further scientific study. The horse remains consist of a head (Figure 1), along with sections of the hide, spine, hooves, and tail (Fig. 1). Such "head and hoof" burials have a long history in Central Asian nomadic cultures, and were widespread in Mongolia beginning in the late Bronze Age (ca. 1300-700 BCE). The hair and soft tissue still remaining on the Ulaan-Uneet horse tell an important story. The animal's head was damaged over the years by both looters and natural processes, including a small mouse who had taken up residence inside the skull. Nonetheless, the mummy retains patches of beautiful chestnut-colored hair (Figure 2). Working with the museum's conservator, D.Nyamsuren, we sampled hair, bone, and soft tissue for genetic sequencing. Results from this analysis will help clarify the evolutionary context of Mongolian horse breeding and use during the early Middle Ages. Based on the presence of large canines and sequential changes in the horse's teeth, we were able to determine that the horse was a young male—around four years old at the time of death. A large bone exposure on the left side of the skull revealed important skeletal traits that may help researchers understand the history of horseback riding in Central Asia. For example, the horse's first premolar, also known as a "wolf tooth," shows wear and striations caused by a metal bit (Figure 3A). Additionally, the exposed surface of the horse's nasal bones have been badly deformed on one side by a bridle noseband (Figure 3B). See my earlier post for more information on Mongolia's rich horse heritage, and an interactive diagram of a horse and hoof burial. October 9 (AmericanMinute.com) Marco Polo was 17 years old when he left Venice for China in 1271 with his father, Niccolo Polo, and uncle, Matteo Polo. Together they traveled 5,600 miles to the east to meet Kublai Khan, the grandson of Ghengis Khan. Kublai Khan was Emperor of China, Korea, North India, Persia, Russia and Hungary. Marco Polo's father and uncle had met the Kublai Khan on a previous journey. Kublai Khan had requested that they bring back 100 teachers of the Holy Christian faith and a flask of oil from Christ's empty tomb in Jerusalem. Because of wars in Europe and the death of Pope Clement IV, only two preaching Dominican friars were sent by the new Pope, Gregory X. These friars became afraid and turned back after crossing an area being attacked by Turkish Muslims. Nevertheless, the Polos returned to China where Marco Polo was employed by Kublai Khan as an envoy for over 20 years. Finally returning to Italy, Marco Polo was captured during the battle of Curzola in 1298. While imprisoned in Genoa, Marco Polo dictated his stories of Persia, China, Mongolia, the Far East and India to a fellow prisoner, Rustichello da Pisa, who wrote them down into what became Medieval Europe's best-seller, "The Travels of Marco Polo." Marco Polo surprised Europeans with a report that the Magi, who brought gifts to baby Jesus, were buried in Saveh, a town in Persia south of Tehran, Iran. Marco Polo stated: "I believe it was God's will that we should come back, so that men might know the things that are in the world, since, as we have said in the first chapter of this book, no other man, Christian or Saracen, Mongol or pagan, has explored so much of the world as Messer Marco, son of Messer Niccolo Polo, great and noble citizen of the city of Venice." In Genoa, 127 years after Marco Polo's death, Christopher Columbus was born in 1451. As Muslim warriors expanded their Islamic State, they raided caravans that had crossed the China Silk Road. This made the land trade routes from Europe to India and China became increasingly dangerous. All trade finally ended when the Ottoman Muslims conquered Constantinople in 1453. Columbus grew up hearing stories of the Grand Khan in a strange land on the other side of the world. Columbus owned a copy of Marco Polo's book, and wrote numerous personal notes in the margins. At the age of 41, Christopher Columbus wrote to the king and queen of Spain in 1492: "Concerning the lands of India, and a Prince called Gran Khan. … How many times he sent to Rome to seek doctors in our Holy Faith to instruct him and that never had the Holy Father provided them, and thus so many people were lost through lapsing into idolatries. … And Your Highnesses, as Catholic Christians and Princes devoted to the Holy Christian Faith and the propagators thereof, and enemies of the sect of Mahomet and of all idolatries and heresies, resolved to send me, Christopher Columbus, to the said regions of India, to see the said princes and peoples and lands and the dispositions of them and of all, and the manner in which may be undertaken their conversion to our Holy Faith. …"
Columbus continued: "And ordained that I should not go by land (the usual way) to the Orient, but by the route of the Occident, by which no one to this day knows for sure that anyone has gone." On Oct. 10, 1492, Columbus wrote in his journal how his sailors were tired of the long voyage, growing scared, and wanted to turn back: "Here the people could stand it no longer and complained of the long voyage … but the Admiral … added that it was useless to complain. He had come to the Indies, and so had to continue until he found them, with the help of Our Lord." October 8 (Post Independent) Kherlen Batbayar is happy to know she can just be herself and not try to emulate somebody else to make a difference in the world. That was one of her takeaways at the second GlenX Success Summit, held at Glenwood Springs High School on Saturday. Batbayar is from Mongolia, native country of summit founder Altai Chuluun and his brother, Mergen Chuluun, executive director of the Business Council of Mongolia who was among this year's event speakers on the topic of successful business networking. "Don't try to copy people, just learn from them and their experiences," Batbayar, who works as an assistant to the consulate of Mongolia in Denver. Now 27, she said that was hard for her to understand when she was in her late teens and early 20s and the pressure was on to set a successful career path. Batbayar said she was inspired by the message from longtime Roaring Fork Valley philanthropist and GlenX Summit speaker Jim Calaway, who told his story of discovering in mid life that he was more happy giving back than keeping his riches for himself. Sonja Linman, a teacher and counselor at Yampah Mountain High School in Glenwood Springs which had one of the many displays set up in the Experience Hall during the afternoon and evening summit, agreed. "I'm so grateful for Jim Calaway and the message he brings," Linman said. "The most important piece is to look at how we can live an authentic life, and especially to encourage young people to take a position of purpose in our world. "And when we look back, if we've truly committed to doing for the good of all, that can be the greatest gift we both gave and got," she said. GlenX aspires to be the Glenwood Springs equivalent of the Aspen Institute, with the main goal being to share ideas and provide inspiration for business and community leaders. Although lightly attended, with about 60 people on hand to hear speakers ranging from Calaway and life coach Michelle Lefebvre to educator Aaron Garland and several business and community leaders, Chuluun said he was pleased with the second installment of an event he hopes to someday grow to the scale of the Aspen Ideas Festival. "People are still trying to figure out who GlenX is and what we're about, but that will come," Chuluun said. "We have a great team behind it, and it does have an impact on the people who attend." Calaway, who has given greatly to valley institutions including Colorado Mountain College, the Colorado Animal Rescue shelter and Valley View Hospital, was to have spoken at last year's inaugural event, but took a fall a few days beforehand and was unable to make it. On Saturday, in a question-and-answer session led by CMC President Carrie Besnette Hauser, he shared his story of growing up poor, earning a college degree, striking it rich in the oil and mining business, and finding his passion for giving back at age 40. "At 85, I'm still an incurable entrepreneur," Calaway said. But his drive is different. He tells the story of one of the later ventures started by he and one of his sons, a software company for the legal industry, that ultimately sold for $8 million. He kept $50 from the proceeds to buy some new socks and underwear. The best source of happiness, Calaway said, is giving. "Live life modestly and give to the common good, be creative and be kind," he said. "That's the way to live." Lefebvre, a Glenwood Springs resident and inspirational speaker, offered five tips to bring happiness to your life: Live bigger, bolder and braver; invite your Uber driver to dinner; tell yourself "you're awesome" once every hour; blur the lines between work and play; and, surround yourself with happy people. Ulaanbaatar, October 7 (MONTSAME) The International Takhi-Group (ITG) is supporting with financial assistance the transportation and relocation of wild horses (Takhi) from the Prague Zoo to the Mongolian Gobi. With ITG's help, 26 horses have been transported safely from the Czech Republic to the Takhiin Tal and Zuungaryn (Dzungarian) Gobi of Mongolia. On October 6, President Ts.Elbegdorj received the president of ITG, Swiss biologist Dr Reinhard Schnidrig, the ITG Secretary, Ms Mirjam Wuersch and the Director of the ITG Mongolian Office N.Enkhsaikhan. Initiated by Christian Oswald and D.Ochir, and their friends, who are horse enthusiasts in 1999, the ITG Project has widened its scopes to join the Stiftung Wildnispark Zürich (CH), Zoo of Salzburg (AUT), Wildpark Bruderhaus, Winterthur (CH), The Prague Zoo (CZ), Animal Park of the town of Nürnberg (Germany) and Zoo of Karlsruhe (Germany). Initially, the ITG brought four Takhi stallion from the breeding station at Jimsar (China) to the Great Gobi B Strictly Protected Area in 2012. An additional action was taken to reach fast population growth through transporting of four mares form Prague to the Great Gobi B. Thereby, a start was given to Mongolia-China cross-border natural conservation as well. LEXINGTON, KY (Oct. 9), (Keeneland) – Yesterday's Woodford (G3) Presented by Keeneland Select victory marked Mongolian Stable's Mongolian Saturday's first victory since he won the 2015 TwinSpires Breeders' Cup Turf Sprint (G1) at Keeneland. This morning, the 6-year-old Any Given Saturday gelding returned to the track to jog once around. That post-race schedule for Mongolian Saturday is routine, trainer Enebish Ganbat said. With Carlos Montalvo aboard for his first victory in two Keeneland starts, Mongolian Saturday won the Woodford by a half-length as the 4-1 favorite in the field of 12. Ganbat said he talked to owner Ganbaatar Dagvadorj of Mongolia last night about the race. "He was in the countryside where there's no internet, nothing," Ganbat said about Dagvadorj. "When he comes back to the city, he will watch the race." With yesterday's victory, Mongolian Saturday improved his record to eight wins in 36 starts and earnings of $1,129,682. The gelding is to be sent to nearby Hagyard Equine Medical Institute on Tuesday for a check-up before returning to his Chicago base. He had been treated for a stomach ulcer earlier this year. Ganbat said Mongolian Saturday would fly to California around Oct. 20 to prepare for the Breeders' Cup World Championships at Santa Anita. October 7 (news.mn) The 7th "Hakuho Cup", named after the 69th Grand Champion of Japanese professional sumo wrestling, Hakuho M.Davaajargal, will be held in Ulaanbaatar's Central Sport Complex on 23rd of October. Under the theme 'Healthy Mongolian Kid' the sumo competition is being organised by 'Hakuho Foundation' and the Ikh Shavi institution. Young wrestlers aged 9-15, will compete for the right to participate in international 'Hakuho Cup' competition. Eight teenage boys from Mongolia will compete in the competition for the title of 'teen sumo sensation'. October 7 (The Korea Times) For several years, the annual Migrants' Arirang Multicultural Festival (MAMF), held in southern Korea, was a dream stage for Gantogoo Sergelen from Mongolia. But on Oct.1, the former migrant worker and now a member of a singing troupe, stood on that stage by grabbing top prize at the festival. Singing the Korean ballad "When Time Goes By" by Choi Ho-seop, Sergelen, 32, won after a previous unsuccessful attempt, taking home a 4 million-won prize and a chance to enter the Korean entertainment industry. The MAMF is organized and hosted by the Gyungnam Migrant Community Service Center, with support from the government of South Gyeongsang Province and the city of Changwon. "I learned the language through Korean songs. I love to sing. It is a way to communicate," Sergelen told The Korea Times in Seoul. Speaking in near-fluent Korean, which he taught himself, Sergelen said it felt good to be able to talk about his life in Korea. Just like Koreans learn English through Western pop songs, Sergelen, who came to South Korea nine years ago as a migrant worker under the country's Employment Permit System, relies on Korean songs, mainly ballads, to help him weather the hardships. Sergelen, who also goes by the name Ganaa, has always wanted to sing, even back in Ulaanbaatar, in Mongolia. But a series of significant difficulties _ his parents' separation and the struggling Mongolian economy _ led the teachers college graduate to leave for South Korea to work on an E-9 visa. "In Mongolia, you see Korean dramas on television, and you expect high-rise apartments and buildings," he said. "But when you come (here) as a migrant worker, you start working in a dark factory." He first started to work in a factory that made shop banners in Goyang, in Gyeonggi Province. He worked long days, as well as nights, for which the pay was slightly higher, six days a week. Sergelen, who already looked like a hip-hop artist with his black cap, black earrings and bracelets _ like those seen in the streets of Hongdae _ did not go into detail about the five years he worked at factories, ranging from processing meat to making cup noodles. He did not say how much he made during those days, but he was able to support his two younger sisters through college. When they graduated, he called his family and said he would finally pursue his dreams. Korea is becoming more diverse as more foreigners migrate to the country for work, marriage and study. Sergelen is among some 580,000 foreign migrant workers who have come to Korea to work under the Employment Permit System, which was introduced in 2004. While there have been success stories among those who have entered under the system, as they are well educated, there have also been many reports of abuse and underpayment. Sergelen doesn't talk much about the difficulties he faced while working under the system. "You can't imagine what it is like, what the culture of a factory is like, what the work is like, how we fought, how we drank," he said. He has, however, tried to be thankful for the good and bad employers and experiences for having taught him life lessons. He said they have changed his thinking and attitude for the better, such as being willing to come to work earlier than needed and to sweep the floor even though it's not part of the job. "You know, any company president or owner likes employees who work hard and well," he said. Sergelen is no longer on the E-9 visa and has obtained an E-6 artist visa. In 2012, he auditioned for Montant, a social enterprise and multicultural art troupe, and became a member. He has worked hard and steadily, he said, to come this far, and his next goal is to obtain a residency, so he doesn't have to renew his visa every year. His dream is to make a living as a singer in Korea, and to that end, he has sought opportunities to perform on stage _ ranging from weekend multicultural singing competitions to audition-based TV talent shows such as "Star Audition: Great Birth" on MBC and "Superstar K 3," in which he climbed to the top 100. His dream stage is the "Immortal Song" on KBS, a show where professional singers belt out their renditions of renowned songs originally sung by Korean artists. He has also had the opportunity to sing a duet with his favorite Korean singer, Kim Tae-woo, formerly of the K-pop boy band g.o.d. Even when he was working at the factory jobs, he worked hard during the week so he can perform on weekends. Now, he constantly knocks on doors to find every opportunity he can. "I have come to love Korea, its food, its language and its music," he said. "I hope that the society will be more open to offering talented people from different cultural backgrounds a chance to develop their skills." He also hopes that someday the society will look at foreigners the same way it looks at Koreans. With so much of K-pop centered on the young, so-called "idol" stars, and with the difficulty of making it as a singer, what does Sergelen think of his chances? "My dreams are big, but my goal is not to become some big K-pop star," he said. "How many people actually do what they love and still make a living?" Photos of the Human Barbie Valeria Lukyanova were taken while she was in Mongolia. October 8 (The Daily Star) She's got over 391,000 followers on Instagram and is known as the Human Barbie thanks to her incredible resemblance to the doll. But recently while she was in Mongolia, Valeria Lukyanova stunned her fans by stepping out and revealing her true identity when she's not posing for social media. In the pictures below, Valeria is seen with little make-up on and huge white glasses to cover up her face. However, the Ukrainian beauty was angered after a news report in Ulaanbaatar – where she was judging the Face of Beauty International 2016 contest – dismissed her as "just a slim blonde in sunglasses." "As many reports in the Mongolian media point out, the human doll looks very different to her multiple web images," said one account. "She was just a slim blonde in sunglasses. "She became world famous thanks to how extraordinarily similar she is to the popular American doll. "She uses make up and colour eye lenses to make the similarity even more striking. " The reports in Ulaanbaatar said she looked "very different indeed" and "not so extraordinary" in real life. Obviously not impressed with the sledge, Valeria - who claims she is no more than 24 but is believed to be 31 - took her anger out at the contestants in the contest. "You know what amazed me?" she wrote on social media. "Some girls did not prepare for the contest at all in terms of their body shape. "They had amazing presentations, dresses, make-up, but their figures…!" "Of course not all of them, most of them were slim, but some had it like…a real something. "I was shocked. I even got curious if just ANY GIRL is allowed to join the competition – and if there is no selections whatsoever?" Prior to the news reports, Valeria was full of praise for Mongolia saying,"I have some nice impressions from Mongolia. The girls are stunning." Ulaanbaatar, October 7 (MONTSAME) The film by Cinelou Films, featuring the Mongolian way of life, has won the Audience Choice and Best Narrative Feature awards at the Calgary International Film Festival, took place on September 21-October 2 in Calgary, Canada. Eight-year-old Wes (Jacob Tremblay, ROOM) has always felt a little bit out of place. After a family tragedy, Wes comes to realize that he's not truly a young American boy – he's supposed to be a Mongolian goat herder, and was born in the wrong place. Enlisting the help of an Indian filmmaker and a crowdfunding campaign, they set off to the steppes of Asia with Wes' family in tow. Against all odds, trekking across the other side of the world might be just what they need in order to be close together again. Co-written and directed by Jordan Roberts (BIG HERO 6) and starring Vera Farmiga (BATES MOTEL, SOURCE CODE) and Martin Csokas (NOAH), BURN YOUR MAPS is a comedy-drama filmed in Alberta of Canada and the vast steppes of Mongolia that highlights the indomitable spirit of humanity, hope and finding your place in a big, crazy world. Mongolian actor Ts.Tserenbold created a role of a shaman in this film.